You must pass both tests to take advantage of the “real estate professional” tax deduction. In this article, we’re going to talk about some details of one of the real estate professional deduction requirements. The issue is something called the material participation test. According to the material participation rules, you must spend 500 hours or more in activity with your property. You and your spouse can combine your hours. The IRS is going to challenge what they consider “investor” activities with the property. Specifically, if all you do is read financial statements and look things up on the Internet, they will disallow those hours. They want to see you active. Make sure you track your hours for the property separate from your real estate professional hours. These are two separate tests. Your hours spent working on your property will count toward your real estate professional hours. But your spouse’s time won’t count for real estate professional status if you’re qualifying for the pro status. On the other hand, your pro hours may not qualify as property hours. The “real estate professional test” and the “material participation test” are two separate tests and you must pass both to take advantage of the real estate professional deduction. You can make an election to aggregate your properties, so that you only have to meet the material participation test once. This election is now made at the entity level or, if you report the property on your Schedule E directly, on your personal return. It also needs to be made each year. That’s a recent change. We used to make the election once on your return and it stayed forever. You may later want to de-aggregate your election. If you sell a property at a loss that is in an aggregated group, you can’t take that loss against other income. Instead, the loss stays within the group until they are all sold. If you have income over $100,000, the only way you can take a full real estate loss is if you are a real estate professional. To qualify as a real estate professional, you must meet the hour requirements both as a real estate professional and for material participation with the property. Material participation requirements are 500 hours per property per year. You can get around that by aggregating your properties. BUT you are getting a short term loss write-off at the expense of a long term loss offset, UNLESSyou de-aggregate the group prior to selling. At this moment, there isn’t any clear guidance from the IRS as to what it takes to de-aggregate a group, other than that you have to declare the circumstances that have changed, so that this property is no longer the same as the others. It could mean you don’t rent it anymore. Or that you no longer maintain it. Bottomline, though, you do need to make an election on your tax return to de-aggregate that property when you sell it or you will not be able to take any loss when you sell. Of course, if the property sells at a gain, then the entire point is moot. You can keep the group intact. 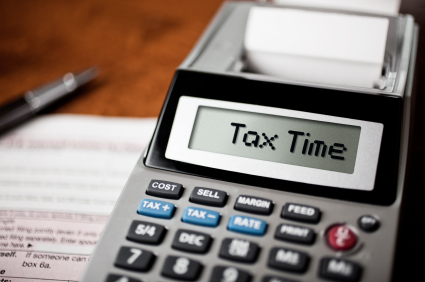 At this point, your head may be spinning a little with all of the tax issues to consider. That’s why we don’t recommend that anyone try the tax planning and tax return preparation by themselves. You need a good tax professional on your side. It’s not enough to have a CPA or Tax Attorney, make sure that he or she also understands real estate investing, tax, and financing.